Every parent experiences a time in their life when they realized their innocent, sweet school going child has grown up and entered the teenage life. Usually, this change is noticeable when they come to middle school and with significant impact when they go to college. These are the most precious and beautiful years of your child’s life and is the best time to build a strong parent-child bond. You will worry about your teen once they go to middle school; thoughts like will they indulge in alcohol, cigarettes or drugs come to your mind. While they will have a thirst to drive fast, you will be worrying about who they hang out with. There is no obvious answer to these questions, but there are ways you can protect your teen at home with some best home monitoring system. 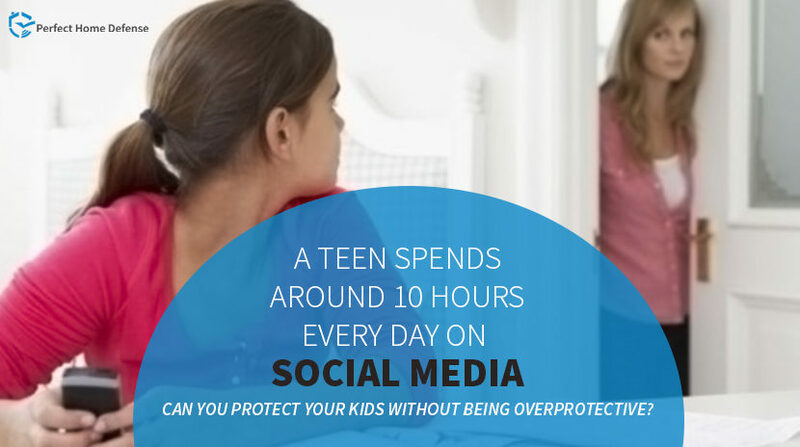 A teen spends around 10 hours every day on social media. Within the home, keep electronics like tabs, I pads, cell phones away from the bedroom, bathroom and dining table. Engage your kids in activities that don’t need any gadgets. Consider signing up your kids for swimming lessons, exploring backyard gardening or joining sorts, or you can create a relaxation area for them at home. This will offer teens a break from their gadgets and internet offering their minds some peace. Keep the communication open; your little fourth grader has now turned into a sullen eight grader, the more you communicate, the better. Insist that he takes part in a family activity like family dinners and weekend plans. Expect him to do his house chores and be an active member of the family. Speak to your teen about their day at school, how their friends and teachers are? Watch a movie with your child or listen to music, you can take them out on shopping sprees or explore some new activities. If you’re teen wants to throw a sleepover over or pool party encourage them this way they will stay home and you can monitor their movements through video surveillance cameras. Talk to your kids and discourage them from constantly updating their status about their whereabouts and plans. Make sure they tell you about who they will meet, where and what time. This will keep you informed about their doings while giving them the space they need. Text them once or twice about when they will be back home, or if they are moving from one place to the other ask them to inform you. Many of our customers have been using are safety products in creative ways to keep a watch on their kids. Some have installed wireless image sensors in unusual places like the home bar to know when someone is using liquor if they aren’t allowed. You don’t want to disturb the police if your teen uses the liquor cabinet, that’s why you can use smart home safety products. You will get an alert on your phone when that sensor is triggered, but it won’t send an alarm to the 911. It will be just between you and your kid. You can use smart door lock if they are trying to sneak out late at night. Many teens love to go out with their friends and exploring new places without their parents. Unfortunately, this independence at times is too costly. Peer pressure can put the teens in some awkward situations that involve alcohol, parties, drugs, and other activities. Plan with your kid and develop a code or symbol and send it to your parents as a signal that you are uncomfortable. They will call you and demand to come home immediately or come to get you back safely.